One of the jazz singers I would love to see play here, at RIJF or otherwise, is Kurt Elling. Kurt is a friend of one of my oldest friends. They met when he was just starting out on the singing career after a stint as a seminary student at the University of Chicago, my alma mater (in fact singing folk music at the time). The first time I saw Kurt perform was at Andy's jazz club near my office at the time in downtown Chicago. He had just signed with Blue Note at the time. I was floored by his vocalese, something I hadn't heard much of before (at that time I was more of a jazz novice). I saw him a number of times thereafter in Chicago clubs, especially the Green Mill (a former hangout of Capone on the North Side that was just a hop from my apartment in Evanston). On more than one occasion, I shared a table with my friend and Kurt between sets while he worked out the next set list and talked about jazz. It was an early exposure to why and how people do this music. Here is a video off YouTube of Kurt singing The Waking in a live perfomance at the Fabryce Trzciny in Poland in 2005. Kurt is always exploring; that's one of the things I like about his music. Not sure why we haven't seen him here (he played SUNY Potsdam earlier this year, I think), but perhaps RIJF 2008? There's live jazz out there . . . go hear it! There's jazz around Rochester over the next seven days, which I've found in various places or been notified by the artists. Check the venue sites or call for more information. I've compiled these from other sources so please forgive me if there are any discrepancies with reality. Artists and groups, please feel free to let me know via email (link on left panel) if one of your gigs isn’t on here and I’ll try to add it to the post before the gig happens. Email subscribers should check back here to see if there has been an update or revision before you make decisions on jazz to see (subscribers won't get an update email or posting). No jazz yet. Let me know if you find some . . . . The obvious one is that I need some scratch to pay my bar tab at the various jazz clubs I try to frequent (although I don't get out as much as I want, I do so much for frequently than the average Joe). I will NOT be making much scratch from the level of advertising and "monetization", probably enough for a few beers here and there. Everyone needs some filthy lucre now and then. One part of the business my wife and I are building involves building blogs for businesses and other organizations. This blog itself was started to help me learn about blogging; I turned one of my passions into a fairly strong local blog. Adding Google Adsense ads and building an Amazon aStore is now teaching me some lessons on how these aspects of blogging can be implemented, how the tools to build them work, etc. Thought I'd try a live moblog from the Flat Iron Cafe, which has live music most nights and is one of the only places in town to catch after hours jazz. Watch my listings for dates and times, or check out their website for the calendar. Sorry for the sound quality, but I'm still experimenting with how much "ambient noise" (which in this case was actually the great sounds of Coltrane interpreted by local group Sonic Duality). Here are the next seven days of jazz in and around Rochester that I've found in various places or been notified by the artists. Check the venue sites or call for more information. I've compiled these from other sources so forgive me if there are any discrepancies with reality. No jazz on Wednesday? Say it ain't so . . . . 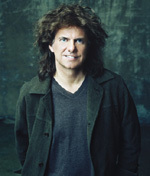 The Jazz for the Park concert to benefit Wilson Commencement Park on October 28th will feature Grammy-award winning jazz guitarist Pat Metheny and his Trio, including bassist Christian McBride and drummer Antonio Sanchez. The show will begin at 6 p.m. at the Eastman Theatre. Tickets are $35 for general seating; $45 for preferred seating; $85 for patron tickets, which includes a reception at Max of Eastman Place immediately following the concert. To order tickets call Ticketmaster at (585) 232-1900 or contact Wilson Commencement Park at 263-7934. Proceeds from Jazz for the Park enhance the programs and services at Wilson Commencement Park in Rochester. The Park has 50 townhouse apartments where single-parent families transition from poverty to self-sufficiency. Family support services help adults achieve personal and professional goals, while an accredited early learning center helps children achieve success in school and in life. Take the next Exodus to Jazz Series . . . This year almost all of the shows in the Series are on Saturdays. All shows have two sets, with the first starting at 7:00 pm and second at 9:15 pm and will again be in the intimate setting downstairs at the VENU Resto-Lounge & Nightclub, located at 151 St. Paul Street, Rochester. Tickets can be purchased in advance are through www.TicketWeb.com (search for “Artist’s Name” or “Exodus To Jazz”) or purchased at the door, night of show. I saw Mulgrew at Joe Siegel's Jazz Showcase in Chicago last year and look forward to seeing him, twice, and the other artists in this great series. Come out and support this series and keep them coming to town! Congrats, Jason! 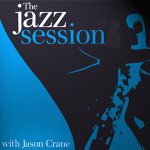 The Jazz Session reaches a milestone . . . .
For those of you who haven't checked out local jazz guy Jason Crane's The Jazz Session podcast and blog, Jason has just passed 15,000 downloads of The Jazz Session podcast. I count myself as one of those listeners through iTunes. Jason's a great interviewer and has a lot of insight into what's happening in jazz here and elsewhere. We had a great time hanging with Jason during this year's RIJF (and thanks to a loan . . . I know, I know you want them back). Check him out and add yourself to the ever-growing fans of The Jazz Session. Tickets are now on sale for An Evening of Wine and Jazz to benefit local jazz radio station Jazz90.1 takes place on Thursday September 20th from 7 to 10 p.m. at The Memorial Art Gallery in Rochester. The event includes wine tasting from three area wineries, great food, a silent auction, and live jazz from Rochester band DubbleStuff, as well as Bob Sneider, Mike Melito and Phil Flanigan. Tickets are $25.00 each and can be purchased by calling 585-966-2660, or 585-966-5299. Only a limited number will be sold. Jazz90.1 is one of the last 24/7/365 jazz stations in the country. Although owned by the Greece Central School District, the station must raise all operating funds annually through member and business donations, and fundraisers. For more information, visit www.jazz901.org or call (585) 966-2660. What if there's more to jazz than you suppose? What if jazz demolishes suppositions and breaks all bounds? 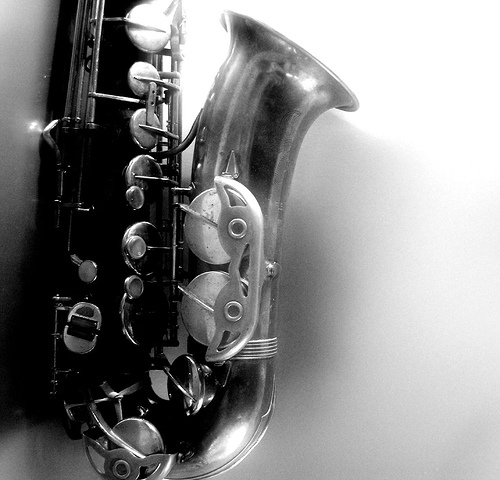 What if jazz - and the jazz beyond, behind, under and around jazz - could enrich your life? 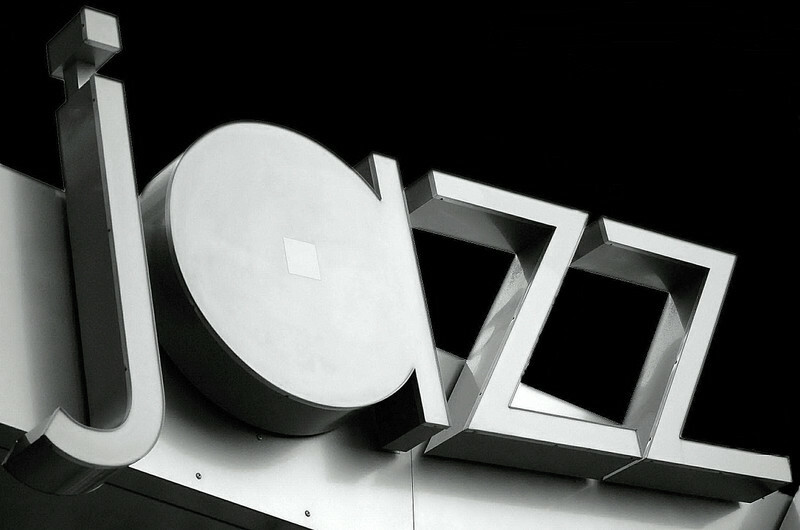 What if jazz is the subtle, insightful, stylish, soulful, substantive guide to successful navigation of today's big and little challenges? What if jazz is more than a tune in the background, the cult of the cool, an old hipster cliché - but rather a window on and mirror reflecting society as understood by artists who regard individuality, originality, innovation, integrity, virtuosity, collaborative skills and community concerns as essentials, fundamentals? What if jazz is an infallible bs. detector and transmitter, as immediate as the Internet, of beauty and truth? Jazz Beyond Jazz is of the mind that jazz as we know it is fine, but what's happening right now - and escaping most notice -- is jazz beyond jazz. Shuffle off to Buffalo to catch some jazz . . . and get all artsy to boot! Saturday, October 13: The Carl Allen–Rodney Whitaker Project—pre-Concert Conversation or Performance, 7 pm; Concert, 8 P.M. (Tickets $12 for students 18 and under). Saturday, November 10, 2007: The Tord Gustavsen Trio—pre-Concert Conversation, 7 pm. on The Sound and the Story of ECM with Series Producer Bruce Eaton; Concert, 8 pm. Sunday, January 27, 2008: The Lionel Loueke Trio—pre-Concert Film, 2 pm, African Guitar: Solo Fingerstyle Guitar Music from Uganda, Congo/Zaire, Central African Republic, Malawi, Namibia, and Zambia; Concert, 3 pm. Saturday, February 9, 2008: James "Blood" Ulmer solo performance—pre-Concert Conversation, 7 pm, The Geography of The Blues with Jim Santella; Concert, 8 pm. Saturday, April 26, 2008: The Russell Malone Quartet—pre-Concert Conversation, 7 pm, The Life and Legacy of Charlie Christian, The Father of Modern Jazz Guitar with Series Producer Bruce Eaton; Concert, 8 pm and on Sunday, April 27, 2008, pre-Concert Conversation, 2 pm, The Life and Legacy of Charlie Christian, The Father of Modern Jazz Guitar with Series Producer Bruce Eaton; Concert, 3 pm ($12 tickets for students 18 and under). I really have to try to get over to Buffalo to see one or more of these this season. Good chance to see some great art as well (I believe the concerts are right in the gallery). Check here for additional or revised information as these dates get closer. Bob Sneider Trio with special guest @ The Grill at the Strathallan, 8:30 pm (some say the special guest will be Rachel Z, who many of you saw in 2006 at the RIJF). Rachel Z with Bobby Rae and Maeve Royce @ The Grill at the Strathallan, 8:00 pm . A way cool visualization (again) of Coltrane's Giant Steps, although this time you get to follow the musical notation in real time (from Thought Bucket). A History of Jazz Albums in a timeline form. Still a work in progress, but the site is pretty cool. Hey start your own timeline (perhaps history of Rochester Jazz?). Helping IAJE members find new local students, exhibit their musical art, gain coveted business references, and network with a community of over 250,000 like-minded people. By harnessing the power of the internet, we've been able to help instructors increase their income by as much as 67% per year. IAJE members can access the partnership login from a special portal on the IAJE website. Through this special partnership, IAJE and Click for Lessons expect that members may increase business and their independence as instructors and working artists. The website and its services are not limited to music instruction, but include dance, voice, acting, language, educational tutoring. There are over 82,000 member instructors at this time. The site also maintains a blog for announcements about the site and other information of value to its members. I'm a wannabe musician who played and took piano lessons when I was a kid, but was not too disciplined in the practice area. I bought a mandolin on a whim a couple of years ago and it, sadly, sits in a corner of the living room calling out "play me . . . play me" in its sweet, dulcet tones. I put my zip code into a search for mandolin lessons on ClickForLessons.com and found quite a few possible local teachers who I may be able to take lessons from. I may be following up with before I forget the stuff I've already learned (OK, I only have one tune that I could play in any recognizable way. . . Yankee Doodle). The site is simple and it works (OK you'll believe me when I actually make the call . . . .). Hey . . . where did it go? A few (very few) of you may have noticed that the link to a Google Calendar where I was keeping track of upcoming out-of-town artists and events has disappeared from the blog. Due to the lack of traffic going to that page, I decided that it just wasn't doing it for my readers. I'm looking into a similar thing using the Eventful calendaring site, but will have to decide whether what I can do with it is worth the effort. Let me know what you think in the comments. Live jazz in Rochester . . . It's out there, so go git some! Quinn Lawrence Trio @ Flat Iron Cafe, 1 am (after hours Sunday). City Newspaper's listings appear to have this on the wrong date as this is the time/date on Flat Iron's website.